The emblem of Bad Aussee is showing two vats for transporting salt (German: ‘Kufen’) and a char (German: ‘Saibling’). 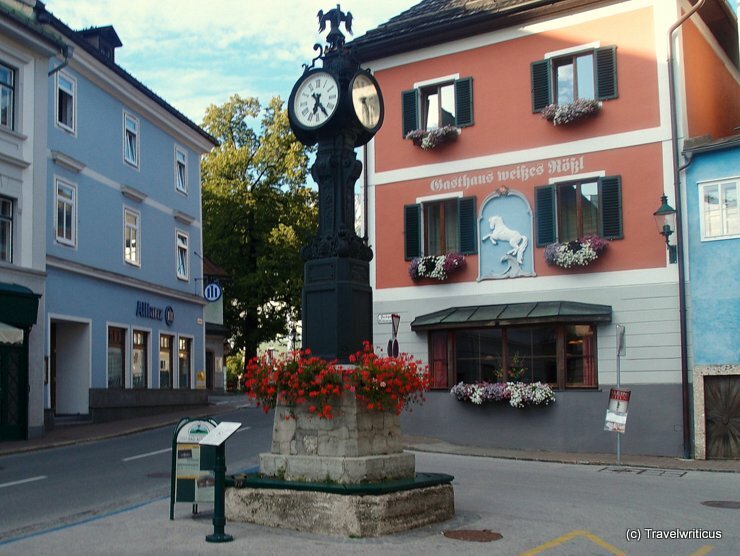 The vats refer to the salt production in Bad Aussee. 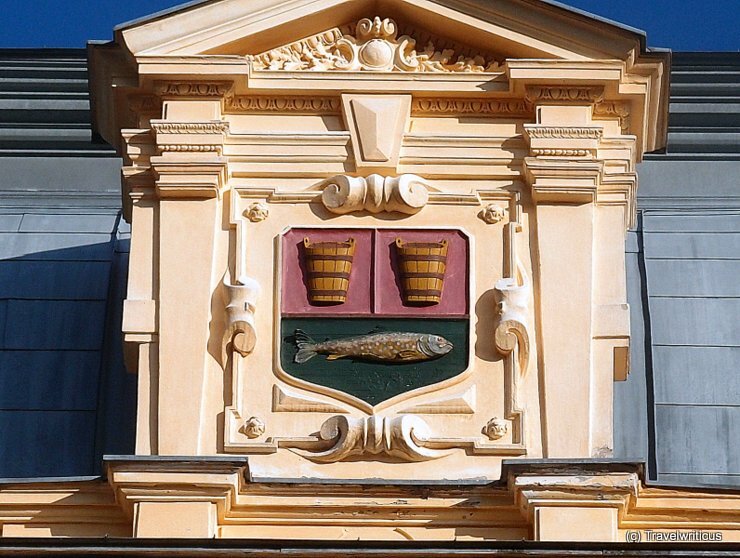 The char is a tasty food fish which is featured by the Austrian ‘Genussregion Ausseerland Seesaibling’. 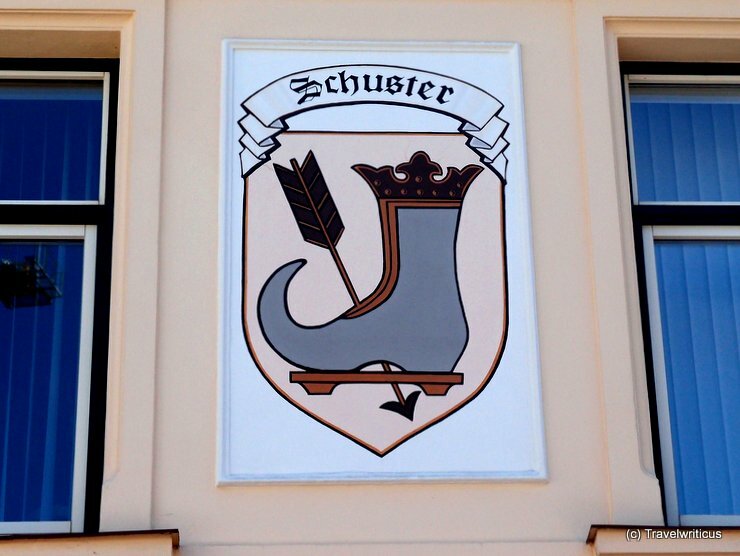 Shop sign of a shoemaker ([German]: Schuster) seen in Bad Aussee, Austria. I wonder what is the meaning of the arrow?